Ever since his mother died and his father went to Brazil for a scientific expedition, 14-year-old Jacob Lansa has been staying with his grandfather in Poughkeepsie. He longs to join his father and help him set up a jaguar preserve in the rain forest, but he can't miss school. When his father invites him down over spring break, he jumps at the chance. It seems Jake's vacation is over just as soon as it begins. But when an equipment explosion suddenly leaves the scientific team short-handed, he stays on as a replacement. Soon he finds himself in a life-and-death struggle against lawless opportunists and the perils of nature as he travels deep into uncharted territory. 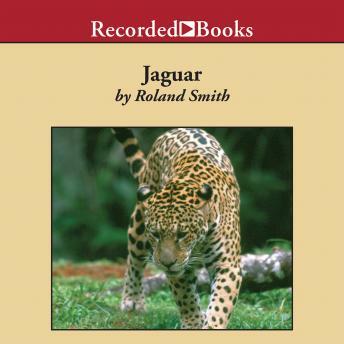 Award-winning author and research biologist Roland Smith packs this riveting adventure tale with fascinating details of the fragile rain forest. Narrator Johnny Heller's expert timing and flair for the dramatic takes you on the breathtaking journey into danger.